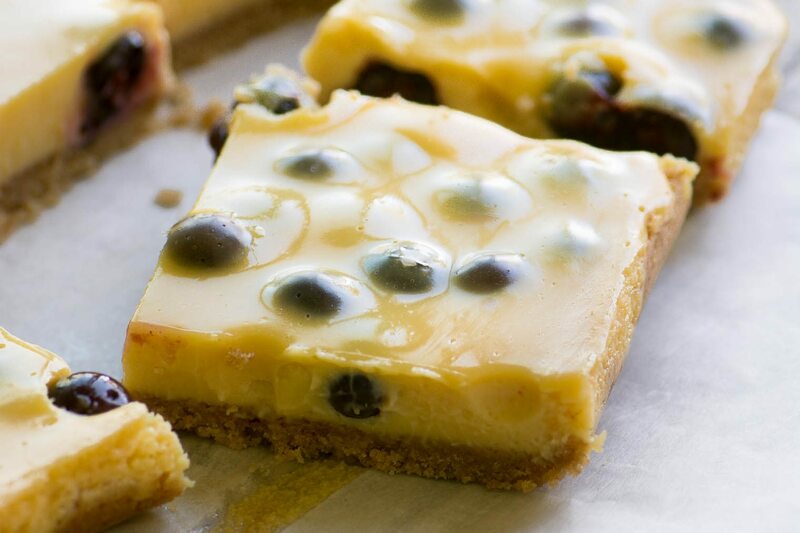 Creamy Blueberry Lemon Bars ~ do you feel like an easy blueberry dessert? Or tangy lemon bars? Why not enjoy both with this to-die-for recipe that combines a tart lemon custard with fresh juicy blueberries. The best technique for eating fairly healthy most of the time is simply not to buy the bad stuff, right? By the time we realize there’s nothing sweet in the house it’s too late and we’re too tired to do anything about it. But these easy peasy blueberry lemon bars are a sly work-around for those times when we’ve been a little too virtuous for our own good. Got some blueberries and a couple of lemons in the fridge? A can of condensed milk and a sleeve of graham crackers in the cupboard? You’re set! 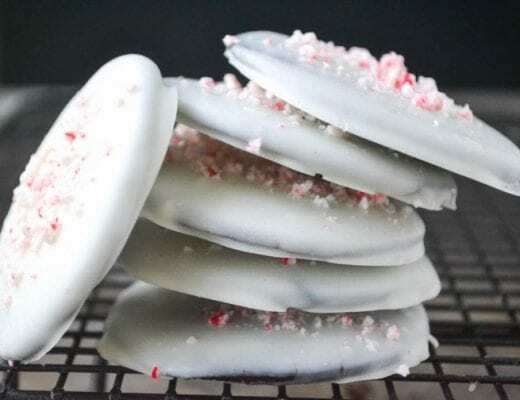 I made these just for myself, not the blog, but the flavor turned out so creamy and inviting I figured I’d better share them with you. The lemon is creamier than a standard lemon curd bar, but just as tangy ~ that’s because there’s a full 1/2 cup of fresh squeezed lemon juice in the recipe. The combination of tart lemon with the creamy texture is nice, and similar to the effect you get in my TANGY LIME BARS. The blueberries pop their juice as you bite into them, which is wonderful. And the slight vanilla cinnamon of the graham crackers works really well with the lemon. You can enhance that effect by adding a little extra cinnamon to the crust. Blueberry and lemon is a winning combination, I’ve used it in everything from Blueberry Lemonade, to Blueberry Zucchini Cake with Lemon Buttercream and Blueberry Lemon Pound Cake. 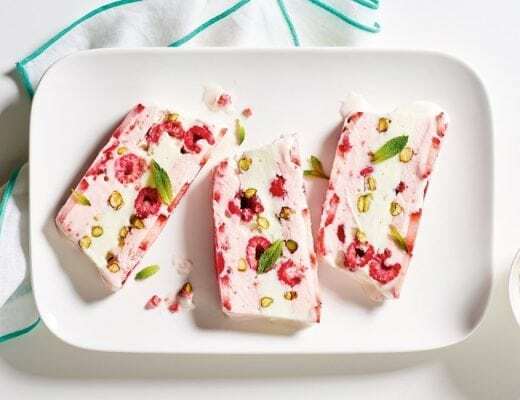 Keep these bars chilled for best flavor and texture. 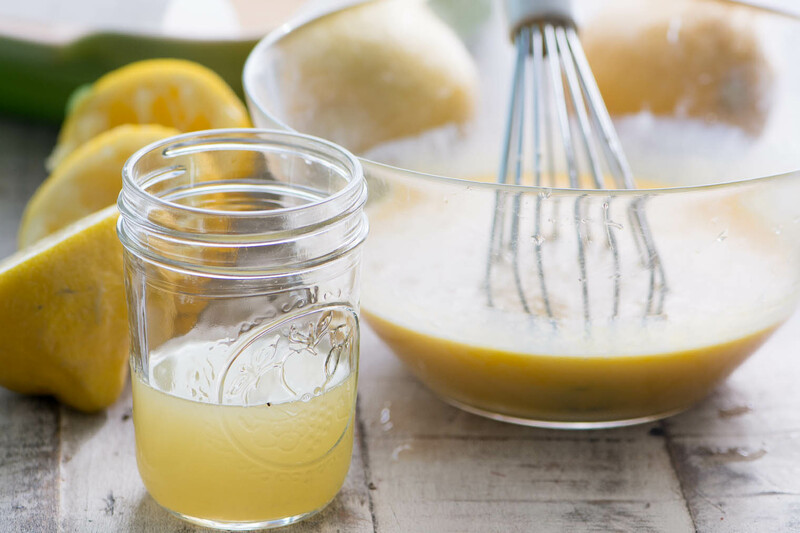 Use only fresh squeezed lemon juice, no bottles! Fresh blueberries only, frozen will be too wet for this recipe. Any cookie crumb will work for this crust. Raspberries would be nice in place of the blueberries. Try this with other types of citrus juice. If the juice isn’t tart enough you can mix it with a little lemon juice. I love anything blueberry lemon and these bars are such a dreamy taste of spring! One of my favorite combinations are blueberries and lemon curd. Or raspberries and lemon curd. These bars look absolutely amazing, that creaminess… I could bake them right now, if I had either raspberries or blueberries in the house, I have to get some. I love the look of these, I’ve never heard of using condensed milk in lemon bars. Raspberries are next for me Adina! These bars sound wonderful. One question though…is this for an 8 inch square pan? I use a 9×9 square, but you can use an 8 inch, too. I love the wonderful lemon-blueberry combination too! These bars are a little dangerous though – they look amazing but almost too easy to throw together on a whim! I’m a fan of anything blueberry and lemon, and lemon bars are one of my all-time favorite desserts! I’ll have to give these a try – and may share them with the family … well maybe, maybe-not :) Have a great weekend! I love the flavour and the colour contrast of yellow and blue is just beautiful! So glad you decided to share these Sue! I have always loved the combo of lemons and blueberries. Such a delicious spring dessert. And I love how easy they are!